Please choose from the bolt options below. 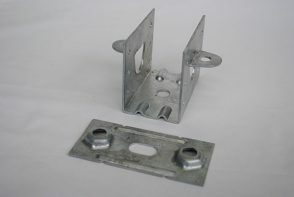 What is the KlevaKlip Adjustable Joist Hanger? The Klevaklip (not CleverClip) Adjustable Joist Hanger has been designed specifically to enable decks to easily be built over concrete slabs in areas where limited ground clearance is available. 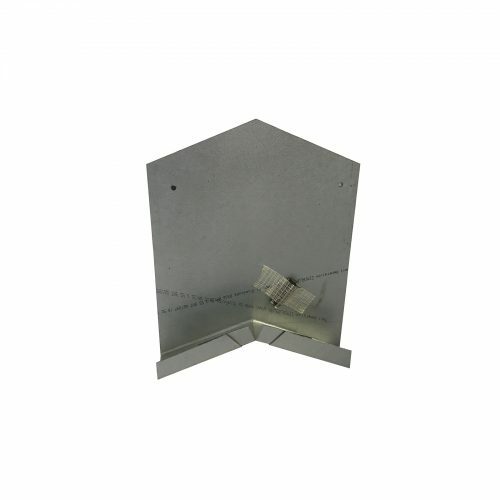 It is ideal for use when the step-down from your door to your concrete slab is between 100mm (minimum) and around 300mm. What Length Bolts do I need? Please Note: These measurements only apply when using our “full length thread” bolts. 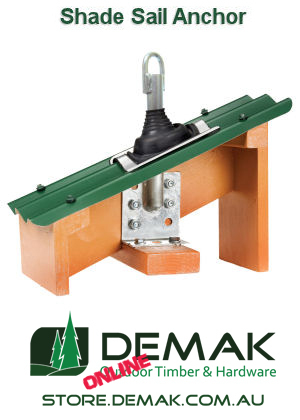 The Adjustable Joist Hanger has been specifically designed to be used with 45mm (that’s 1.75″ to our American friends) wide treated pine joists – the cradle of the joist hanger is 46mm wide x 100mm long x 65mm high. 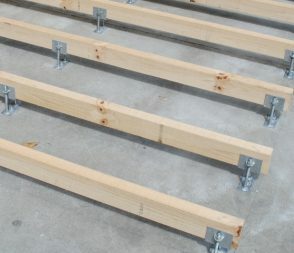 It can be used with other types of joists if they are the right thickness. How far will my joist span? All based upon “continuous span” with joists at 450mm between centres. Keeps Your Joists off The Concrete And Free Of Unwanted Moisture Ingress. 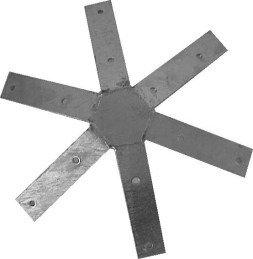 This Prevents Joist-Rot Through The Bottom Of Your Joists. 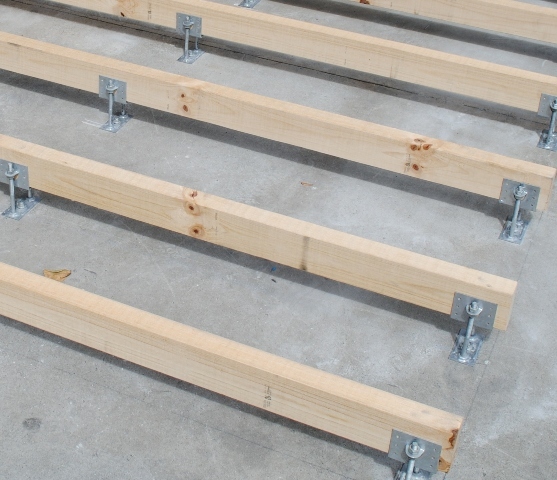 Is Ideal For Use On Area Where The Concrete Has Built In “Fall” – To Provide A Level Deck. Height Of The Deck Is Determined By The Length Of Bolts Used. Uses Standard 12mm Dynabolt Anchors For Holding Into Concrete. 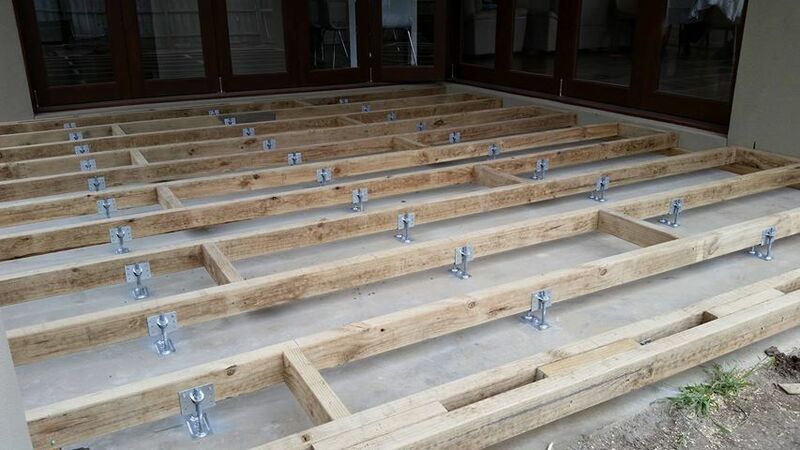 As many houses these days are built on concrete slabs, there is often a shortage of height available to build a regular decking substructure of stumps, bearers and joists etc. Indeed, many houses have a slab for a patio area set down only approx 100mm below the height of the main housing slab. Fixing timber battens directly to concrete slabs is regarded as a poor building practice due the moisture uptake into the batten which will rot out the batten way before its normal lifespan. This scenario has made it very difficult for people to enjoy the relaxed lifestyle of having a timber deck at their doorstep. 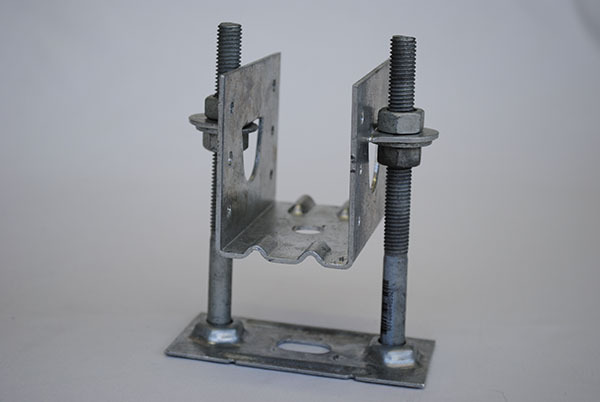 The clever people from KlevaKlip have released the Adjustable Joist Hanger. 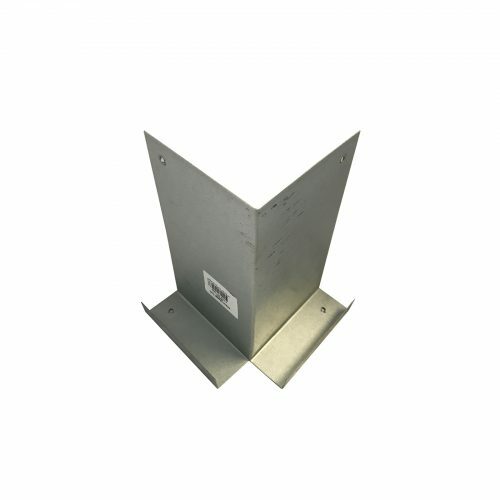 This product, the only one of its type on the market, not only lifts the joists off the concrete, but allows you to adjust the “top of joist height” from 80mm (using 60mm length bolts + 70 x 45mm joists) to 170mm (using 120mm length bolts + 90 x 45mm joists). The KlevaKlip Adjustable Joist Hanger is registered for Patent approval. It is simple to install and can be used with suitably treated timber joists with a width of 45mm, and minimum height of 70mm. Note: Hardwood joists should be screwed to the joist hanger rather than nailed.